“The continuing and sustained demand for oat products driven by consumers health agenda, assures the future for the crop” said James Mathers, General Manager of Whites Speedicook Ltd. This was just one of the messages coming out of an Oats Open day organized by AFBI and Whites and attended by breeders, seedsmen growers and advisers. 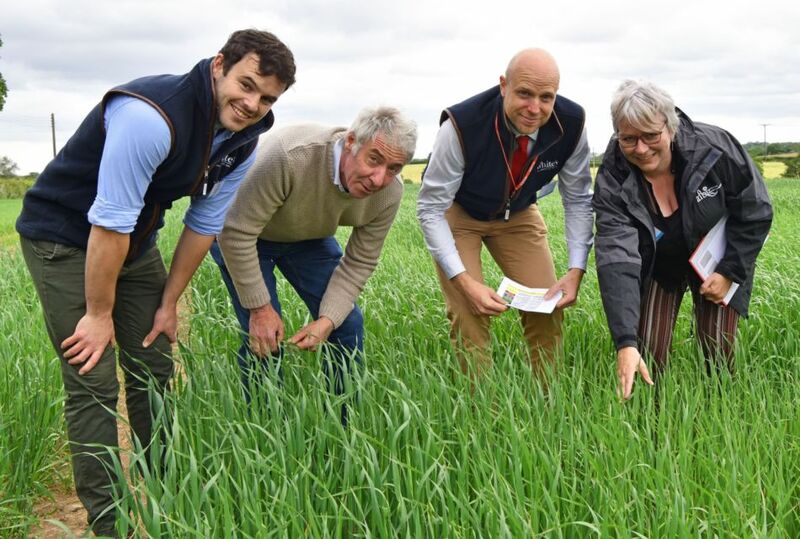 The event took place at the Plant Testing Station, Crossnacreevy where the White’s experimental spring oat trial and the AHDB Recommended List variety trials are managed by AFBI. “Behind the demand is the increasing realization of the health benefits associated with oats and this coupled with innovative product development has seen oats move from a bowl of porridge in the morning to an all-day meal and snack option” added James. Against this background Whites have initiated a series of field trials to further promote the understanding of oat agronomy and how best to optimize performance and quality of oats grown in Northern Ireland. “Despite Ireland having the highest oat yields in the world it remains something of a Cinderella crop” said James “and this is something we wish to readdress through our field trials and development work”. “White’s is further supporting local oat growing with the appointment of Sean Kane in a dedicated Agri Supply Chain role. This combined with Fane Valleys acquisition of Morton’s means White’s is able to enhance the agronomy offer for Oat Growers locally ensuring the best quality milling oat seed is available and that this is supported in the field by research based, variety specific agronomy advice which will deliver a high quality of finished product” said James. The oat day saw attendees from Northern Ireland, Republic of Ireland and England share their experience and discuss in an open forum how best to capture the opportunity for Northern Ireland oat growers.